Since 2009 the Bioart Society is organizing the ARS BIOARCTICA RESIDENCY PROGRAM together with the Kilpisjärvi Biological Station of the University of Helsinki in the sub-Arctic Lapland. The residency has an emphasis on the sub-Arctic environment and art and science collaboration. It is is open for artists, scientists and art&science research teams of all nationalities. For impressions from the residency view the residency blog by previous guests. 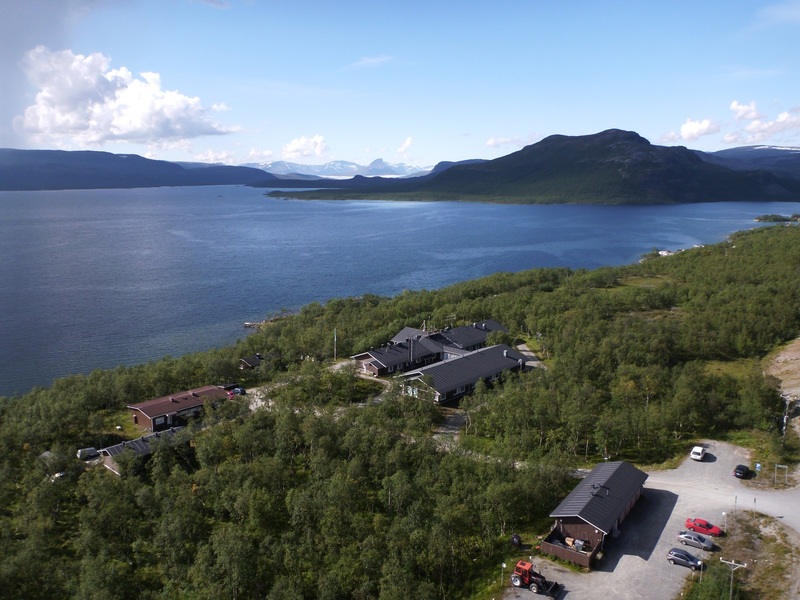 Kilpisjärvi Biological Station is situated in the mountain birch forest zone near the 70th parallel of northern latitude (69°03′N; 20°50′E) in the northwestern part of Finland in the area where Sámi culture has its roots. The Sámi are the only indigenous people in the northern parts of Norway, Sweden, Finland and Russia, as well as the whole of the European Union. They inhabited the area long before any state borders were drawn. The area is called Lapland, but the Sámis themselves use the name Sápmi. Approximately 10,000 Sámi people live in Finland, and they speak three languages: North Sámi, Inari Sámi and Skolt Sámi. In the Kilpisjärvi area the traditional Sámi livelihood is reindeer herding which is still practiced. Inari is nowadays the official center of Sámi culture. There is the Sámi Parliament, Sámi Radio, the Siida Sámi Museum and the Northern Lapland Nature Centre, as well as the Cultural Centre Sajos. Inari is 326 km from Rovaniemi to North. The Biological Station belongs to University of Helsinki, the Faculty of Biosciences. It offers the residents the same possibilities and infrastructure as its scientists and staff. This includes access to scientific equipment, laboratory facilities, the library and seminar room as well as the usage of field equipment. The residents are provided with a combined living and working environment, kitchen, bathroom, sauna and internet connection. The station is currently directed by Prof. Antero Järvinen. Researcher Leena Valkeapää, our dedicated mentor in Kilpisjärvi, will familiarize the residents with the local environment and customs. Apply with the online application form and include a CV and work plan as pdf. The Ars Bioarctica application period opens again in the end of the year. Currently we have the North AiR residency call open. Travel to and within Finland to Kilpisjärvi have to be covered by the applicant as well as the accommodation at the Station. The Bioart Society will assist with the funding process by providing a letter of invitation to the selected artists. Travel: Depending on the season and means of transportation the costs to travel from Helsinki vary significantly from 150 EURO to 350 EURO. Accommodation: The cost of accommodation for the members of Bioartsociety and artists/researchers related to Finnish universities is 13,50 € / day / person and breakfast, lunch and dinner at the canteen is approx. 37 € / day / person. For others, the accommodation is 43 € / day / person and the food approx. 37 € / day / person. When making your plans, please, take into account the local weather (more on that here: http://www.helsinki.fi/kilpis/english/Climate/weather_statistics.htm) and during the winter months the station is often rather quiet and, thus, offers possibilities to solitary work. The climate is subarctic and the tempretures low even during the summer. The midnight sun rises on the 22nd of May to set only the 25th of July the next time, but even before and after that the nights are very short and light. The sun goes below the horizon on the 25th of November and rises again on the 17th of January. Families are welcome to the station. It is good to remember that Kilpisjärvi is far, there is no regular access to a car and the closest grocery store is located 5 km away and the closest doctor is 200 km away.